SAN FRANCISCO—Diversity on the California bench is increasing, according to a legislatively mandated annual report released today by the California Administrative Office of the Courts (AOC). The report contains demographic data on the ethnicity, race, gender, and sexual orientation of California state justices and judges on the bench as of December 31, 2013. Government Code section 12011.5(n) requires the AOC to collect and release aggregate demographic data on California state judges and justices by March 1 every year. This is the eighth year that the information has been collected and released. Responding to the questionnaire is entirely voluntary for judges. According to the report, women now represent 32.2 percent of superior court judges, compared to 27.1 percent in 2006, continuing an upward trend over the past eight years. Information Not Provided (2.9 percent in 2013 compared to 9.9 percent in 2006). Information not provided, 37.2 percent. 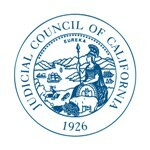 Increasing the diversity of California’s judicial officers to reflect the rich diversity of California’s populace continues to be a key goal of the Judicial Council of California.